The Crawley Irish Festival, the only Irish Summer Festival in the South East of Britain, takes place on Sunday the 28th August showcasing some great Irish entertainment, music, sport and dance and much more. Attracting over 6,000 people it’s recognised as a high profile Irish Festival here in the UK. featuring a number of arts workshops, Irish Dancing Demonstrations, three music stages featuring traditional and modern Irish music, GAA sport, children’s entertainment, educational areas, craft stalls and shops selling traditional Irish produce and arts & crafts. 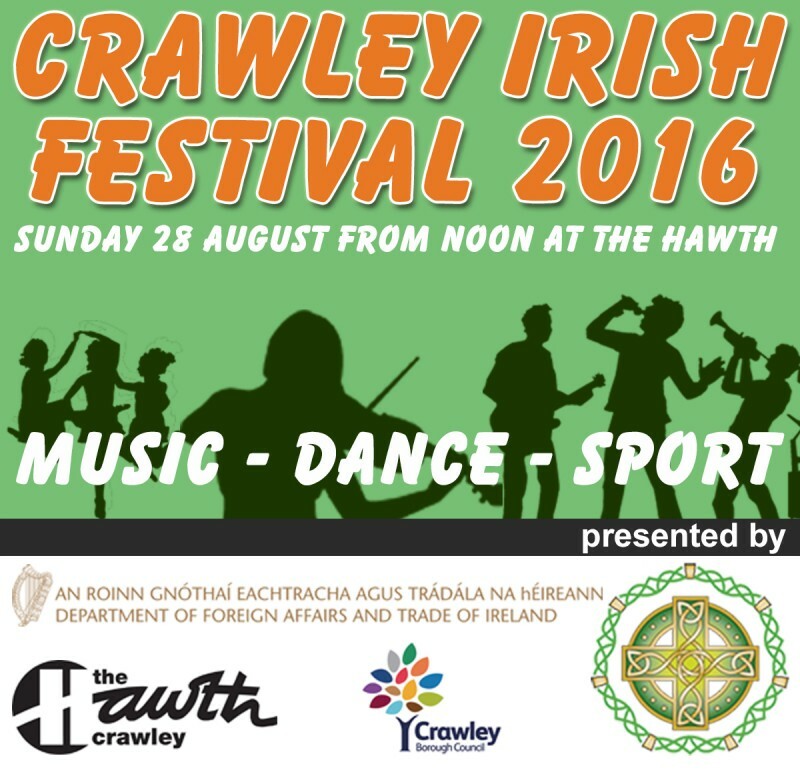 So keep Sunday 28 August free in your diary for Crawley’s biggest Irish Festival ever. Visit us from 12 noon at The Hawth Theatre Grounds, Crawley, West Sussex – just a short while from Gatwick Airport. We are currently finalising the lineup. All current information is available at http://www.celtic-irish.co.uk/festival/ – we’ll add a few more details here too shortly.